These are various feature enhancements that were made in scrum across the Serve, Bluebird, and Target RedCard platforms. 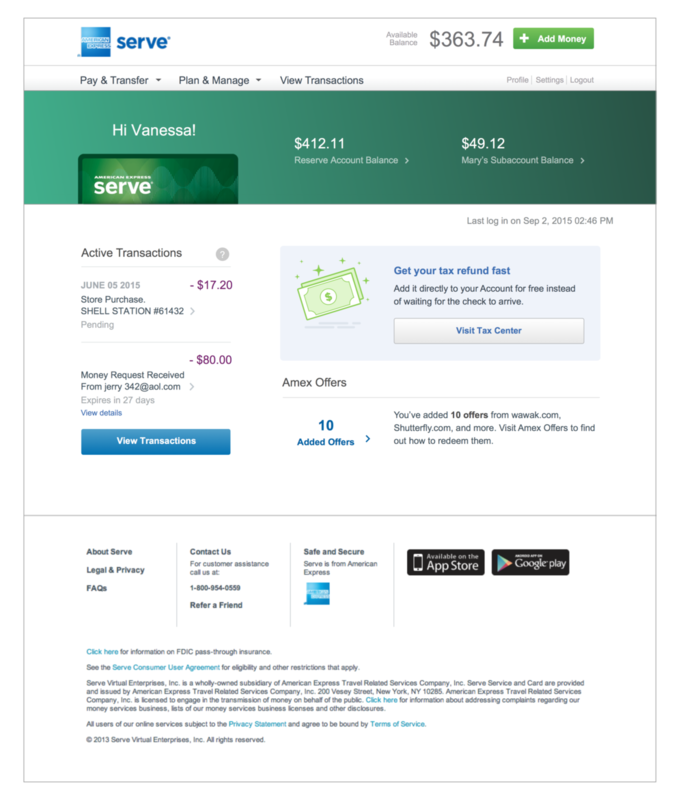 I worked on a design for our Dashboard Account snapshot that would accompany the Serve’s new dashboard design, as well as develop a consistent visual system that would enable the design to scale across all three of our Card products, SubAccounts, and users with a Temporary Card. This update would help support customer self-service and decrease call volume in regards to users’ accounts. Redesign for Serve Card, Cash Card, Rewards Card, and Empty Set.